While President Obama might be leaving the White House soon, hopefully, some of his ideas will stick around, like regulating cannabis. As his time in the White House is quickly dwindling down, President Barack Obama sat down with Rolling Stone to discuss what he will miss most about the presidency, as well as his views on certain laws and government programs. While doing the interview, it was hard to avoid the topic of cannabis legalization and whether or not he had wished he made more of an impact on the issue. Despite the depth of the questions, President Obama remained diplomatic and respectful of all parties involved in making such an important change to the laws. Whether you love him or hate him, President Obama has been one of the most relatable presidents in the recent history when it comes to the everyday person. His demeanor has remained approachable and fair, never seeming too biased towards any one group. While many might disagree with his political choices, it’s hard to disagree that he is a very likable man. As he prepares to exit the White House, he’s soaking up the last few weeks of his time in office and enjoying the perks of being the President of the United States. Just one day after the country elected Donald Trump as his successor, President Obama sat down with Rolling Stone to discuss a wide range of topics, which included advice for the incoming president, his favorite times in the White House, memorable policy changes and his views on the much-needed cannabis reform. As the only president in history to openly admit his past use of cannabis, and his belief of its safety, many voters expected President Obama would understand the need to reschedule the plant and remove harsh possession penalties. 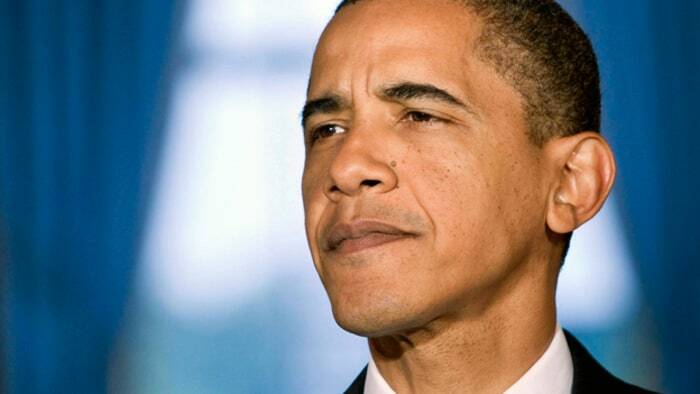 However, when it came time to discuss the touchy subject, President Obama made his stance clear. Look, I’ve been very clear about my belief that we should try to discourage substance abuse, and I am not somebody who believes that legalization is a panacea, but I do believe that treating this as a public-health issue, the same way we do with cigarettes or alcohol, is the much smarter way to deal with it. Rather than enforce jail sentences and fines for those using cannabis, it might be better to regulate the product, just like the government does with cigarettes and alcohol. This would allow for a new tax revenue, as well as decrease the amount of funds being spent to incarcerate non-violent offenders. While he didn’t explicit mention any of this information, it can easily be inferred. 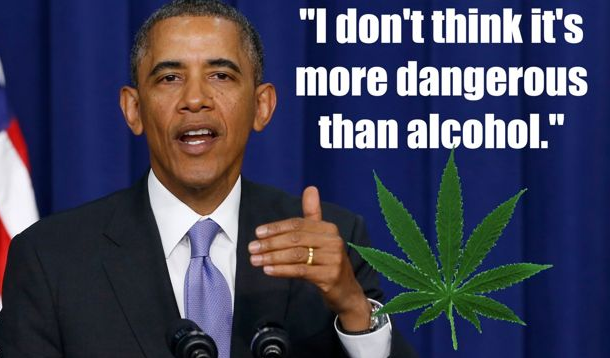 The President went on to explain how, even if he wanted to, he holds no real power when it comes to cannabis reform. That decision lies with the Federal Government and the Drug Enforcement Administration, who have always been behind the times when it comes to new ways of thinking. However, President Obama knows the laws will eventually change due to the states changing their individual laws, making it impractical for the DEA to continue enforcing such harsh penalties in one state, but not in another. [i]t is untenable, over the long term, for the Justice Department or the DEA to be enforcing a patchwork of laws, where something that’s legal in one state could get you a 20-year prison sentence in another. Although he will soon be leaving the Oval Office, it’s hopefully that some ideas, like those on cannabis reform, might stick around.